A group calling itself Fight for the Future is planning to hold rallies next week outside Apple stores around the country to protest the recent court order that would compel the company to build a software backdoor to help the FBI unlock the iPhone used by one of the terrorists responsible for killing 14 people and wounding dozens last December in San Bernardino, Calif. 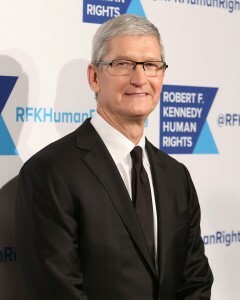 The Situation Report is picking up strong signals that Cook and Apple may be playing a dangerous game of chicken at a time when U.S. public opinion seems capable of swinging forcefully in favor of supporting government efforts to identify and stop terrorists in our midst. Even recent surveys of millennials show that private companies like Apple and Google are in no position to take the moral high ground on privacy and security, much less pretend that they know best when it comes to the balance between security and privacy. Public opinion shifts. And the balance that Cook and others argue they support may be shifting in favor of enabling the government to better protect us from these killers. Cook, however, is unlikely to acknowledge such a shift. My Cupertino, Calif.-based listening post has picked up strong signals that Cook’s real concern is losing market share overseas by cooperating with big, bad Uncle Sam. Wanna know how I really feel about this case? Here’s Why You Should Side With the FBI, Not Apple, in the San Bernardino iPhone Case. I picked up an interesting document recently when I cleared my Department of Homeland Security dead drop site. There’s been a lot of attention recently on DHS’s interest in social media monitoring. But The Situation Report has received strong intelligence that DHS is also currently reviewing a proposal to leverage big data analytics to identify and uncover lone wolf terrorists—like the individuals who carried out the attacks in San Bernardino—before they strike and to proactively counter terrorist recruitment messaging and radicalization efforts. 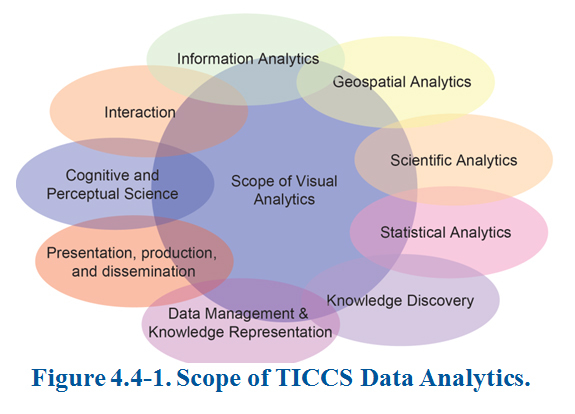 A chart from a proposal under review at the Department of Homeland Security showing the scope of big data analysis that would go into the Terrorist Ideology Counter Communications Strategy (TICCS). Analysis of Competing Hypotheses (ACH): A tool to aid judgment on important issues requiring careful weighing of alternative explanations or conclusions. ACH is an eight-step procedure grounded in basic insights from cognitive psychology, decision analysis, and the scientific method. Social Network Analysis: SNA is fundamentally about entities and the relationships between them. 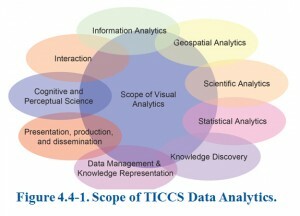 As a result, this method has a number of variations within the intelligence community ranging from techniques such as association matrices through link analysis charts right up to the validated mathematical models. Multiple-criteria decision-making or multiple-criteria decision analysis: MCDA is a subdiscipline of operations research that explicitly considers multiple criteria in decision-making environments. Link Analysis: A technique our team uses to evaluate relationships (connections) between nodes. Relationships may be identified among various types of nodes (objects, people, places, things, transactions). Link analysis focuses on analysis of relationships among nodes through visualization methods to find matches in data for known patterns of interest, find anomalies where known patterns are violated, and discover new patterns of interest.